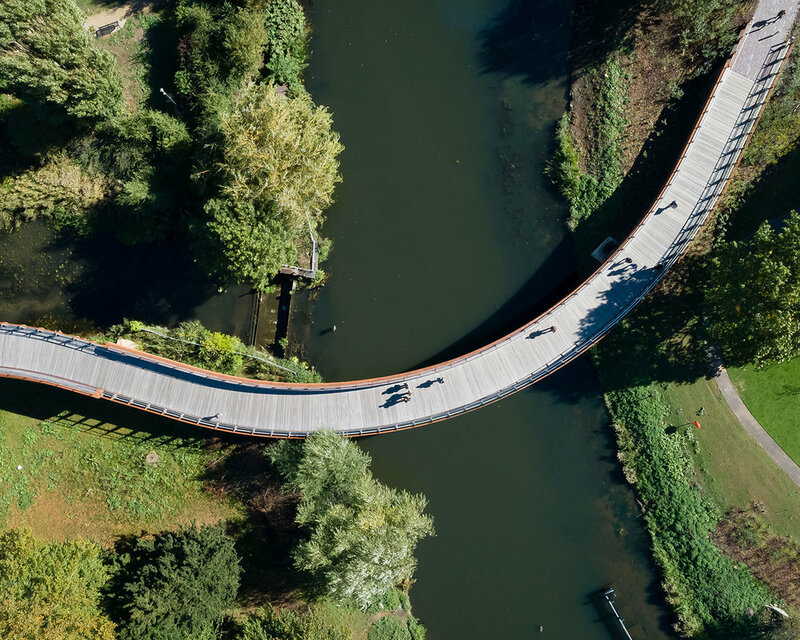 The pedestrian and cyclists bridge has a double curvature ‘S’ plan- form which is over 180m long. An hardwood ribbed deck is supported on cantilevered offset, raking supports- all in corten steel. Both bridges have been completed ahead of the campus opening in 2018. 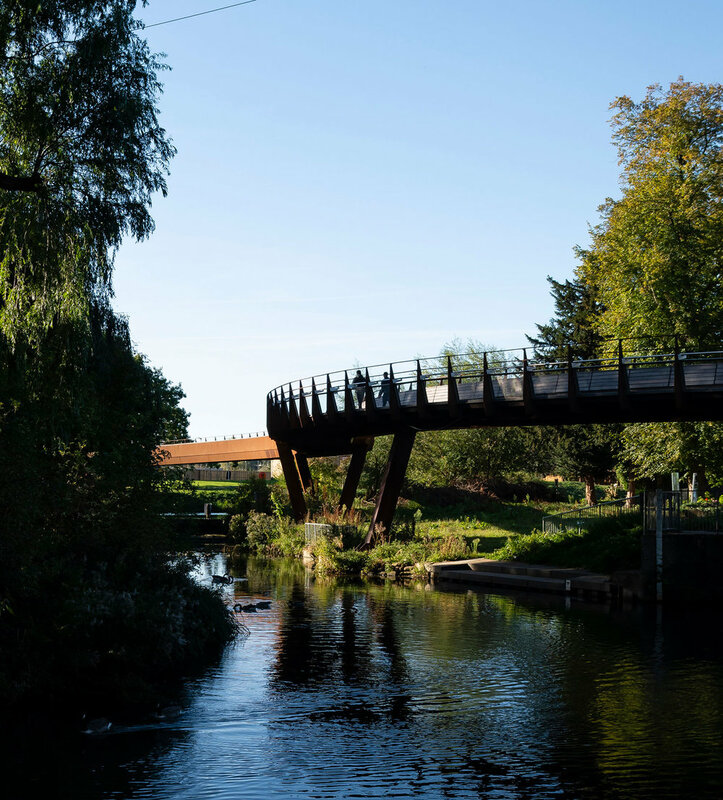 We have collaborated with CH2M and Smith and Wallwork engineers to design two river crossings connecting the new Waterside Campus for the University of Northampton with the town centre. A road bridge links the campus in the west to Bedford Road whilst a pedestrian and cycle bridge connects the eastern side of the campus directly into Beckets Park and the town centre. External lighting text successfully completed on the University of Northampton iconic footbridge.